Marshall fire fighters extinguished four natural-cover fires over the weekend. According to a department spokesperson, firemen were called out and put out a fire along the side of U.S. Highway 65 near Route UU at 5:42 p.m. on Saturday, April 13. 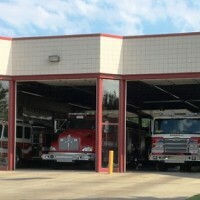 On Sunday, April 14, fire fighters were called out to put out fires at 4:21 p.m. on Park Avenue; at 7:19 p.m. on North Highway 41; and at 8:18 p.m. on Route YY. The spokesperson said the fires were small and put out rather quickly.